Tehran won’t cave in to Washington’s pressure, Iranian President Hassan Rouhani said, adding that the US is “now more than ever isolated.” Earlier, Donald Trump said he would not re-certify the 2015 Iranian nuclear deal and imposed further sanctions on Tehran. “Today the United States is more than ever isolated in its opposition to the nuclear deal and in its plots against the Iranian people,” Rouhani said. During a televised address on Friday, Rouhani stressed that the deal cannot be amended and no new clauses can be added to it. Tehran will remain committed to the accord, but only while Iranian national interests are preserved, he said. Iran, however, will never hesitate to give a “proper answer” if its interests are violated, Rouhani warned. “The Iranian nation has not and will never bow to any foreign pressure... Iran and the deal are stronger than ever,” Rouhani said. The Iranian president dismissed America’s anti-nuclear rhetoric, saying the US is the only country to have ever used an atomic bomb. He also decried the newly announced US sanctions against the Iranian Revolutionary Guards Corps. No matter the restrictions, “Iran's Islamic Revolutionary Guards Corps will continue its fight against regional terrorists," Rouhani said. 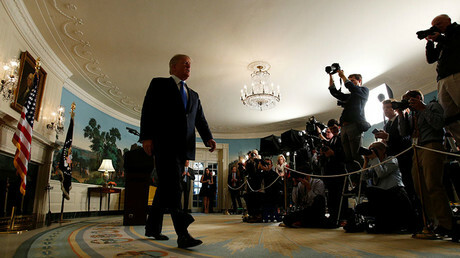 Earlier on Friday, Trump announced that his administration will not recertify Iran’s compliance with the nuclear agreement and announced new sanctions against Tehran. The US leader said he wanted Congress to come up with legislation that will amend the nuclear accord. 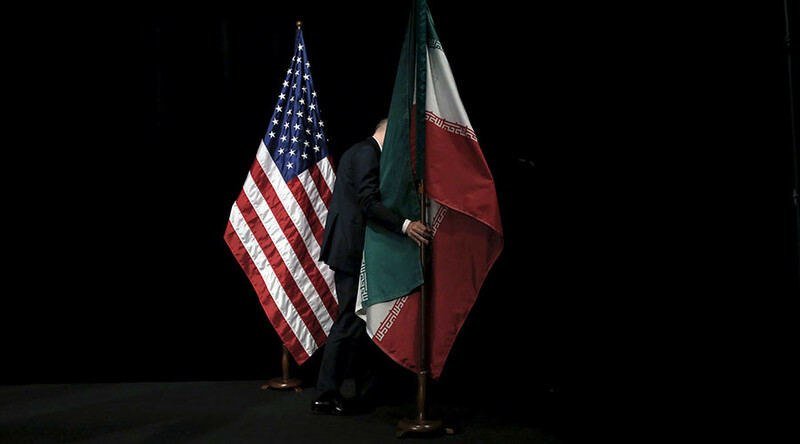 If negotiations with Tehran on the amendments fail, “the deal will be terminated,” he warned. This comes despite the International Atomic Energy Agency’s (IAEA) confirmation that the Middle East state is in compliance with its obligations. "The nuclear-related commitments undertaken by Iran under the JCPOA [Joint Comprehensive Plan of Action] are being implemented," Yukiya Amano, director general of the IAEA, said. 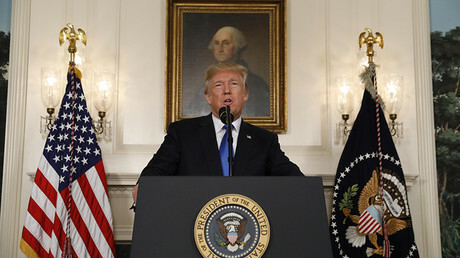 Trump has always been critical of the Iranian deal, which was signed in 2015 after years of negotiation by Tehran and a group of world powers, which included the US, UK, Russia, France, China, Germany and the EU.